Everyone reacts in their own way to being diagnosed with myeloma. Most people feel a sense of shock, and some may feel overcome or numb – all of these feelings are completely natural. Some feel a slight relief, because at last they have found an explanation for how they have been feeling, and find it better to know than just to worry. This is a very natural reaction too. The diagnosis might make you feel angry – why is this happening to me? – or frustrated in case things are slipping out of your control. As a little time passes, though, you will find that most aspects of your life and activities will stay the same. Many people with myeloma comment that it has made them re-appraise what is most important to them, and have become closer to their partners, family and friends. 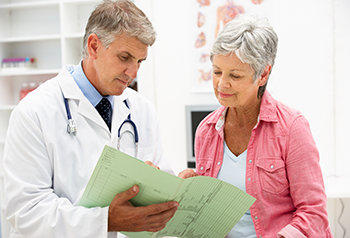 A diagnosis of myeloma, as for any type of cancer, often prompts questions about how long you can expect to live. This is very hard to answer, as it is so difficult to estimate how well you are likely to respond to treatment. In the last ten years, many new treatments and combinations have become available, and some people find that a particular treatment works better than others. Today, myeloma patients can expect to enjoy a good quality of life for many years; although unfortunately as yet there is no permanent cure. 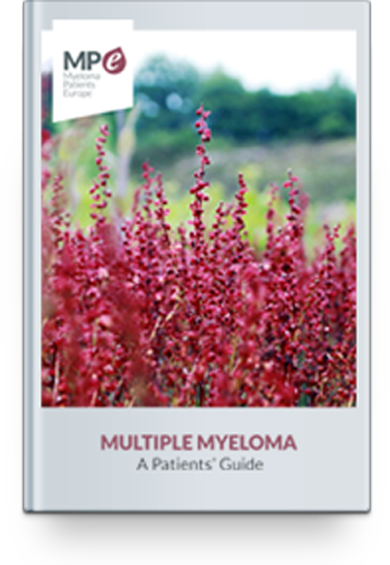 It can be very helpful to find out more information about myeloma, so that you understand more clearly what your diagnosis means, and so that you are able to formulate what you need to ask your doctors. It will also help in talking with your family, as they will also be trying to understand more about it. 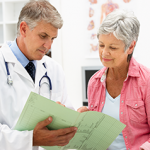 Take your own time to find out about myeloma, as it is easy to become overwhelmed. If you look for information sources on the internet, it’s important to keep to reliable sources from medical organisations, rather than websites where you find opinions which may not be reliable. Remember also that the information you find online should supplement, and not replace, the advice and guidance from your medical team, which is designed for you as an individual. It can feel very difficult to explain to the people close to you that you have myeloma. It may help if you tell one or two, and ask them to explain it to the other people you feel will need to know. Some people find it easier to tell people by phone rather than face-to-face. Talking about myeloma with those closest to you can be a great source of support and help, and stops you feeling isolated. Your partner, family and friends may also be feeling anxious about you and perhaps afraid in case they upset you by asking too much. It does help to talk, not just about myeloma but about everyday things as well. Myeloma specialist nurses, who you will meet through your consultant, also have a good understanding of what you are going through and can help you come to terms with your feelings.